Driving along a highway in British Columbia, have you ever wondered what kind of birds those are nesting in the trees by the side of the road or why trees in some places are covered with lichens while those in other areas are not? 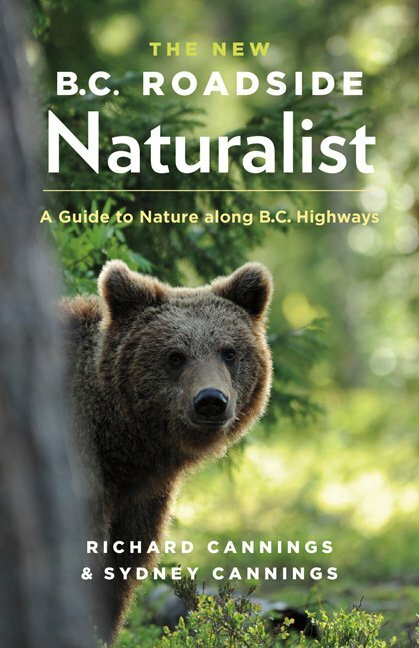 This authoritative and engaging guide offers a treasure trove of information about the landforms, vegetation and animal life along the major highways of British Columbia. In addition, the book offers suggestions for where to stop and look for crayfish, enjoy a swim in summer or have a picnic lunch during your travels. An appendix provides a brief field guide of tree silhouettes and hints for identifying trees and shrubs. With this book in your glove compartment, you’ll discover a whole new dimension to taking a car trip. This revised edition covers all the major highways of British Columbia and the southern Yukon.